The blinds are up to 1,200/2,400 with a 400 ante, and this will be the last level of the night for Flight A of Event #6 $400 NLH. Only 52 players remain from the 211 entries that started the day. Meanwhile, Flight B is on their first break of the day. Only 80 players remain from the 211 entrants in Flight A of Event #6 $400 NLH. The field just took their last break of the day and are now playing 40 minute levels. There will be 3 more levels before this flight bags up for the day and returns tomorrow at 11am. The blinds are now 800/1,600 with a 200 ante. The second flight of Event #6 $400 NLH is now under way. Players receive 20,000 chips for their $400 buyin, and registration is open through the end of the 8th level. It's been a pretty amazing series for Ralph Macri so far. Right after chopping Event #1 heads up (and officially taking 2nd place), he came right back and final tabled Event #4, eventually busting out in 3rd place. Today, he's right back in the action in Event #6 $400 NLH. We caught up with him when he was in the big blind. The under the gun player opened and there were four callers before Ralph 3-bet. The original raiser 4-bet all in and all players folded back to Ralph, who snap called with [Kh][Kd]. Ralph was up against [Qs][Qd], and the [8s][8d][Jh][5h][2s] board kept the kings in front. With 6 levels complete, the average stack is around 25,000. But one player is off to a great start as is likely the tournament chip leader. 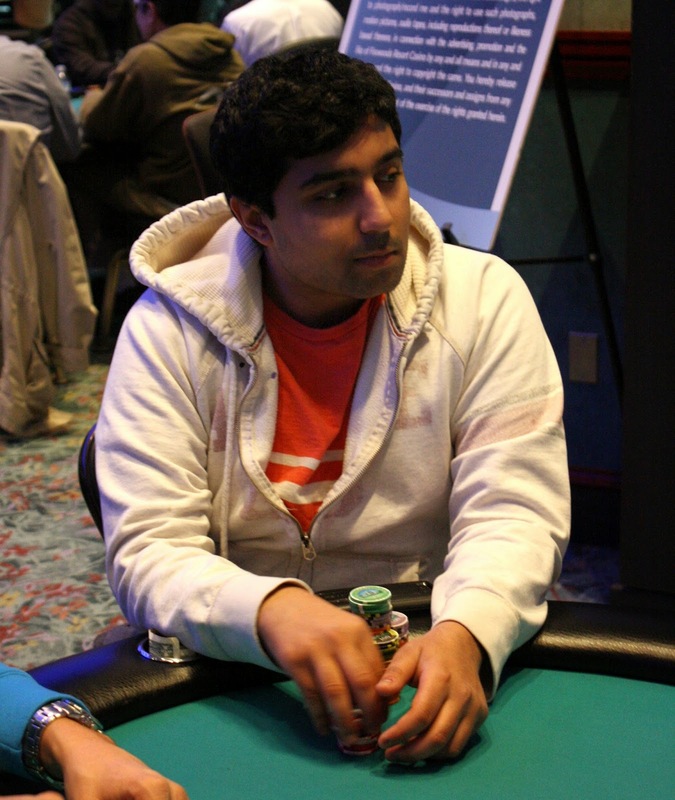 Soheb Porbandarwala currently sits on around 76,000, almost four times the starting stack. 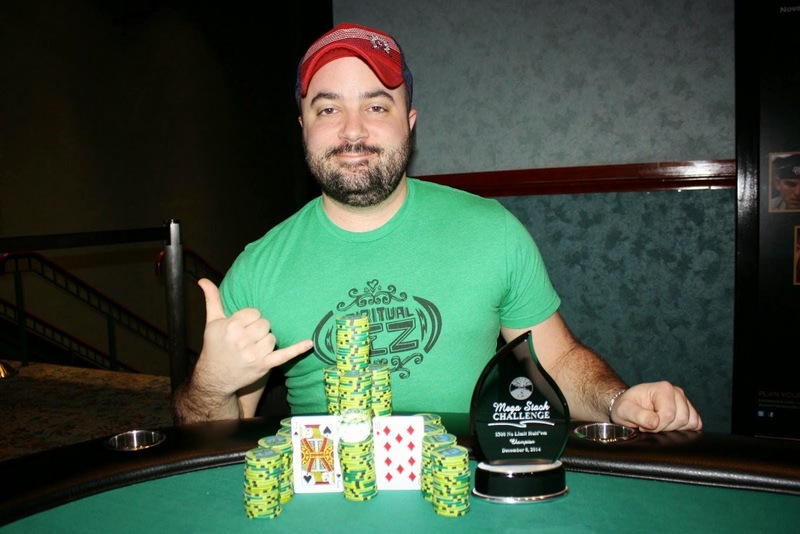 Soheb cashed in the WSOP Circuit Main Event back in August, and final tabled a $1200 Mega Stack event in 2012. We'll keep an eye on his stack to see how he does throughout Flight A. 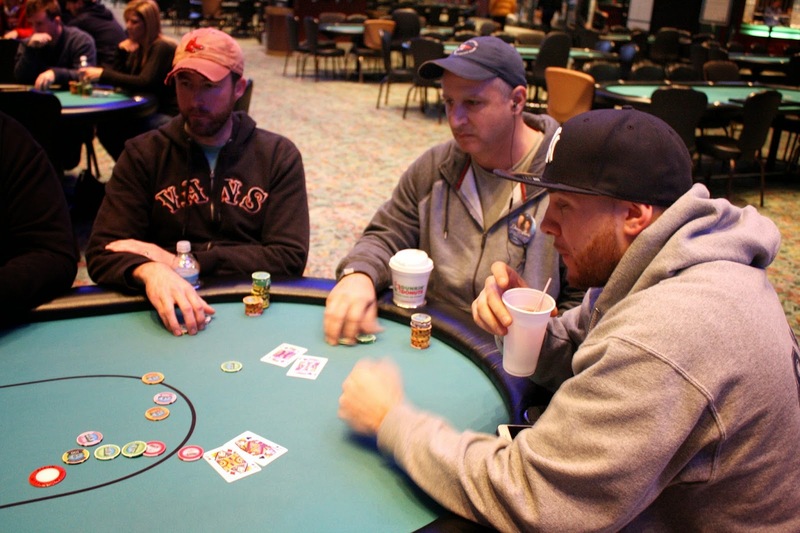 Players on Event #6 $400 NLH are now on their first break of the day. When they return, blinds will be 100/200 with a 25 ante. Cards are in the air for Flight A of Event #6 $400 NLH. This tournament features two starting flights, at 11am and 5pm, and a $100,000 Guarantee! Blinds will be 30 minutes for the first 12 levels and 40 minutes after that, and registration is open for 8 levels. A full structure is available here.